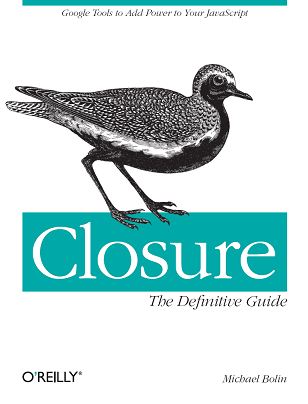 Last week, I gave two talks about Closure in Cambridge: one at Google and the other at MIT CSAIL. I had a great time and fielded lots of good questions from sharp individuals, so I'm looking forward to my next two speaking events in New York City. Though after spending quite a bit of time preparing my talks last week, I am pretty disappointed with my experience creating a presentation with Google Docs. Given that the UI is displayed using HTML and CSS, it should be dead simple to change the color palette of a presentation. For example, I am generally interested in three styles: slide title, plain text, and sample code. Every time I want to set text as sample code, I have to select the text, choose "Courier New" from the font dropdown and then select my code color from the font color picker. Under the hood, there are tons of <div>s with the same inline CSS styles whereas if I created my slides by hand in HTML, I would have many <code> tags that could easily be restyled with a single CSS rule. Trying to use different themes for Google and MIT for the same presentation would have taken hours because of all the time mousing around to select text and change all the styles, so I didn't even try. I know that Google Docs is nowhere near Keynote or Powerpoint in terms of its feature set, but I didn't realize how far behind it is. It only comes with 15 themes, and I'd argue that none of them are particularly good for a developer who wants to display code samples. I would switch to a Microsoft or an Apple solution, but I am often switching between computers, and the thought of emailing a slide deck around and clogging my inbox with twenty versions of the same presentation is depressing. There's a good chance that I'll build my own lightweight presentation editor in HTML that is tailored for creating talks by software engineers. I basically had to do something similar in order to write my book, but that's an exciting topic for a future blog post! This doesn't directly address your problem with creating slides, but it's relevant nonetheless: .